The shapewear by Hot Shapers is ideal for all those who can't find time for a workout. The shapewear is made of a fabric called Neotex which promotes weight loss by preserving body heat and stimulating water loss during the activity. The fabric increases the body temperature and absorbs sweat so that you are dry on the exterior. The fabric is comfortable and stretchable; it moves along with your body while you are performing any task. 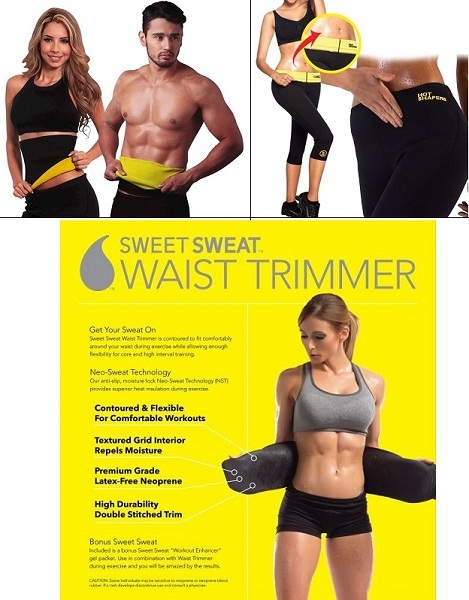 Make your workout count with the Sweet Sweat Waist Trimmer. It increases your core temperature during exercise improving your activity. It fits around your waist comfortably and is naturally flexible which takes the shape of your body. Hot Shapers sweat gel is made of natural ingredients which reduce the appearance of cellulite on your body. It also improves blood circulation, reduces inflammation and promotes slimming. Apply the Hot Shapers hot sweat gel to your legs, thighs, stomach, arms, buttocks and hips. It is ideally applied while you are using a Hot Shaper garment. Massage it till your skin absorbs it. The accumulated cellulite in your body causes fats. Wear Sauna Slimming Belt as it eliminates the cellulite content from your body. Along with fat loss, the Sauna belt improves the metabolism of your body which helps you lose weight easily. It also provides relief from muscle cramps. 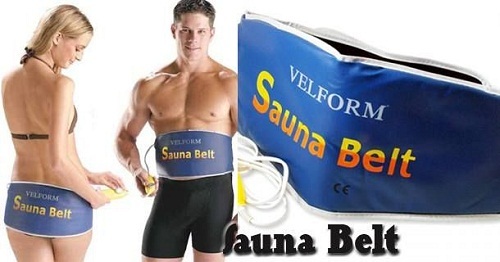 Regular usage of sauna belt will tone your entire body and make you look fitter. Use the tummy trimmer to perform a set of exercises which would help you cut down the flab on your abs and strengthen the core abdominal muscles. It also firms your chest and arms. Come monsoon and your entire routine of going for morning walks go for a toss. Here is an alternative! With the Home Jogger/Walker, you can walk or jog in the comfort of your home. 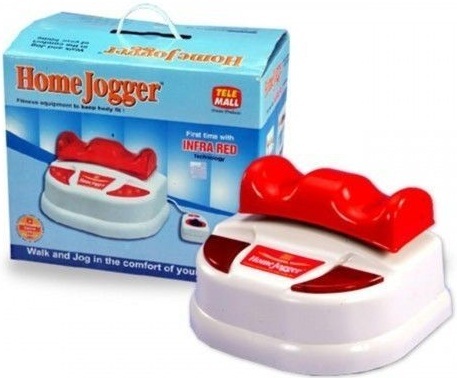 The home jogger moves your body which promotes blood circulation. It exercises the bones and joints in your body. Using the home jogger boosts the metabolism of your body which reduces muscle fatigue. Using this device for 15 minutes is equivalent to walking 10,000 steps. Strengthen your shoulders, back and arms with the Iron Gym Pull Up Bar. There's no better way to take your upper-body workout to the next level. Attach it to the door frame. It builds and tones your upper body muscles. 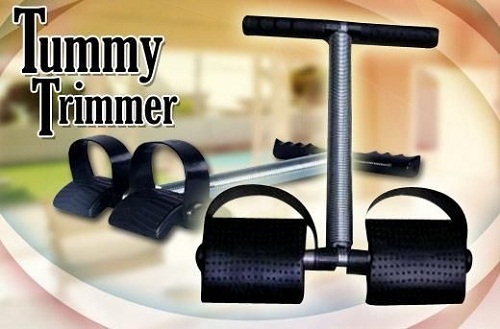 The home gym set includes plates, rods, dumbbells etc.- everything you need to improve your core strength. Toning your belly is not just about sweating it out. Strengthening the abdominal muscles is equally important. 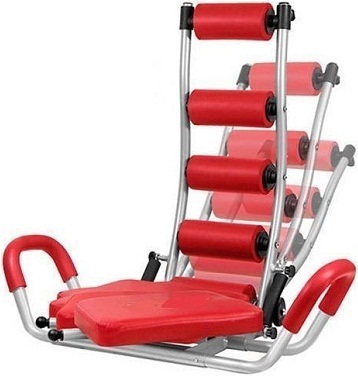 The Abs Rocket Twister targets the entire abdominal muscles and gives you toned abs. If you suffer from muscular pain amidst the workout, use Asthijivak oil and paste. Get complete relief from all types of joint pain with this combo. It is made from a blend of Ayurvedic herbs which provides quick relief from muscle and joint pains especially knee joint. It restores the agility and flexibility of your body. Sandhi Sudha Plus Joint Pain Relief Oil contains rare and precious Himalayan medicinal plant extracts which help in reducing the severity of pain in knees, back, shoulder, elbow etc. in 10-15 days of application. It also helps the joint regain its stability and strength.